Hot on the heels of ControlsFX 8.0.0 (which has had over 1000 downloads already! ), Eugene Ryzhikov and I are very pleased to announce the availability of ControlsFX 8.0.1. Now, to be clear, despite this only being an 0.0.1 increment in version numbers, as per our release versioning policy, this is actually a major release comprising a number of new features. The number of people downloading and using the previous ControlsFX releases is really, really pleasing – especially when you take into account the fast release cycle and the fact that ControlsFX depends on JavaFX 8.0, which is only part of JDK 8! In 8.0.1 final, the most notable features are detailed below, but before I get into that I just wanted to remind you that this is an open source project that you can participate in, either through helping with documentation, bug fixing, new features, or whatever else. Here I have to give thanks to Danno Ferrin for his continued support of our build system, and Hendrik Ebbers for his work on enabling a continuous build of ControlsFX. Finally, another mention of Eugene Ryzhikov who has been my partner in crime on most of these features – he single-handily developed the PropertySheet control in this release! Finally, learn more about ControlsFX, and download it, from the ControlsFX page. A vertical list of properties that can be edited with a number of pre-build editors (in the 8.0.1 release we support string, number, boolean, enumeration, color, and font editors). As well as supporting the built-in editors, you can provide custom editors for your specific use cases. Allows you to notify your users of something without requiring their immediate input (which you can do with the ControlsFX dialogs API). The NotificationPane will animate in and out of view, and provides support for an arbitrarily complex ‘graphic’ property (put any Node in there), as well as text and an area to place control buttons. 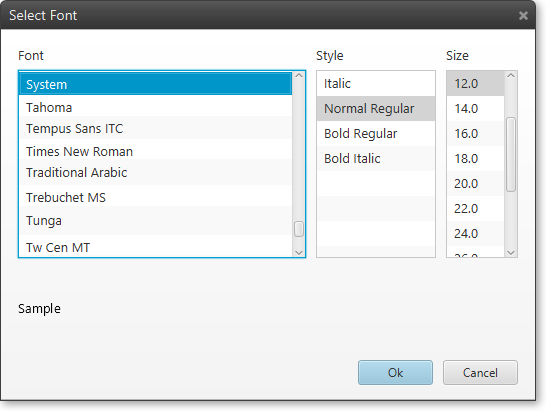 It also supports two visual styles, continuing in our theme of providing light and dark styles. One of the feature requests from the 8.0.0 was support for dialogs that didn’t open up in their own window (and rather opens within the scene and can’t be moved outside of the window). This style of dialog has two useful benefits: firstly, it can be used on systems that don’t provide a window toolkit (e.g. tablets), and secondly, they can be used to block execution of a subsection of your application whilst allowing the rest of it to remain interactive (e.g. block one tab whilst the rest continue to be accessible). The nice thing about the lightweight dialogs API is to enable it you simply call .lightweight() when using the Dialogs class, or set the useLightWeight property to true in the Dialog constructor – the rendering of the dialog is exactly the same as if it were heavyweight! A dialog that binds to a JavaFX Worker so that you can easily show progress to your users and prevent them from interacting with the user interface whilst the worker completes its task. The code underlying this dialog was originally provided to ControlsFX by Richard Bair. 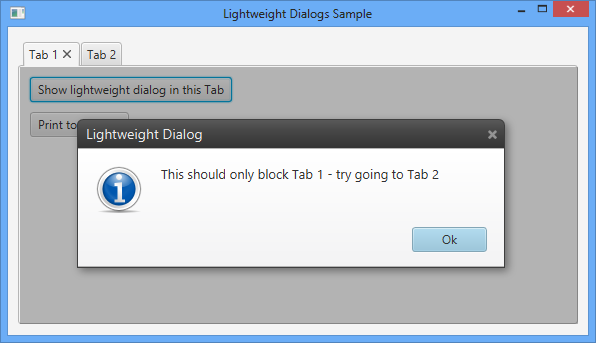 I’m very impressed that I requested lightweight dialogs and there they are in the very next release. 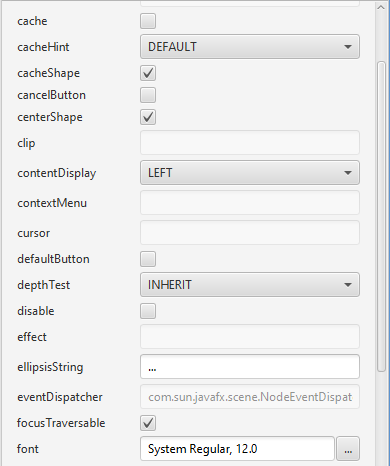 Not that it really matters as I’m fine using the library, but these controls are very useful – shouldn’t they be rolled into the main JavaFX release at some stage? Really A M A Z I N G work! In addition to 8.0.0 I like PropertySheet the most in 8.0.1! This is really good work but why the dependency on JDK8? This seems a bit extreme considering quite a few users are just starting the process to migrate to JDK7. I suppose somebody will have to manually backport some of this stuff which’ll be the equivalent of a fork. I’ve no issues with a backport and am happy to help facilitate it (by setting up a branch in the main repo). It’s great work!These controls are very nice and practical, specifically these new dialogs.Can these controls add in JDK8 to became internal controls? Jonathan and your mates,keep forward! I try sample controlsfx-8.0.1-samples.jar on Windows7, JRE 8 EA build 100. Sample is runing, but in left pane is only one option ControlsFX, after click this option no result. Could you please file an issue over at http://issues.controlsfx.org – thanks!